A few quick words on pecans. Pecans are delicious. I adore them. Most pies are yummy. (Maybe not minced meat or even pumpkin for me, actually.) Sweet and savory pies. I still have a memory on my tongue of a spaghetti pie my mom used to make when I was a kid. Yum. 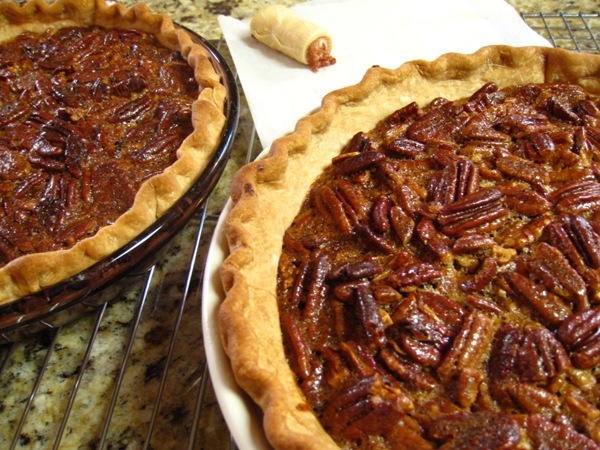 Pecan pie is one of my favorites. (Right behind coconut cream pie!) Usually I only eat pecan pie once or twice a year, though. It’s a holiday pie for me. And for years I have made it the same way. I modified my regular recipe a little this time around with mixed results. As much as I love pecans I think this pie had a few too many of them. I enjoy the glop as much as the nuts in this pie and with this many nuts there wasn’t enough glop. But that’s an easy fix. . just back off on the pecans a bit. Posted in Sweet and tagged christmas, cookies, dessert, pecan. Bookmark the permalink. I mentioned yesterday that lots of cookies were baked in our kitchen recently. This is one of the other cookies Tim and I spent our day baking and decorating. They are fantastic. A delight with or without icing. We used the same icing as we used on the sugar cookies. 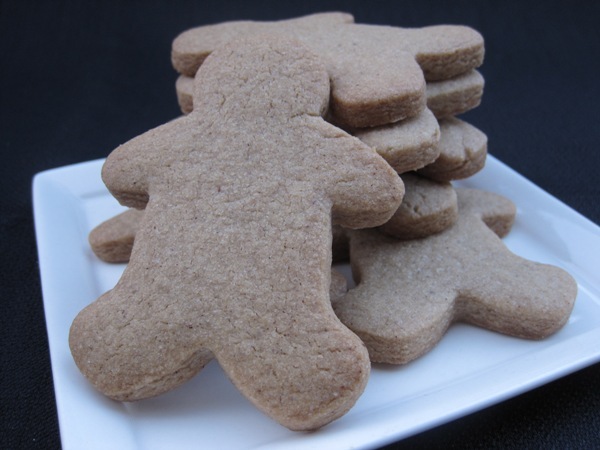 Posted in Sweet and tagged christmas, cinnamon, cookies, Cut-out cookies. Bookmark the permalink. Aren’t the holidays exhausting? So much to bake, cook, wrap, decorate, mail, buy, etc. .. ..and still try to find time to enjoy the holiday in your own way. I bake a lot. (ya think?) Sometimes I get so involved in holiday baking and candy making that I have way too much to even distribute to friends and family. Sometimes I spend so long in the kitchen in a single day that my feet hurt as though I have been wearing high heels in a 5k. (Probably not a good idea, by the way.) Sometimes my jeans feel too tight cause I have eaten enough fudge to choke an elf. 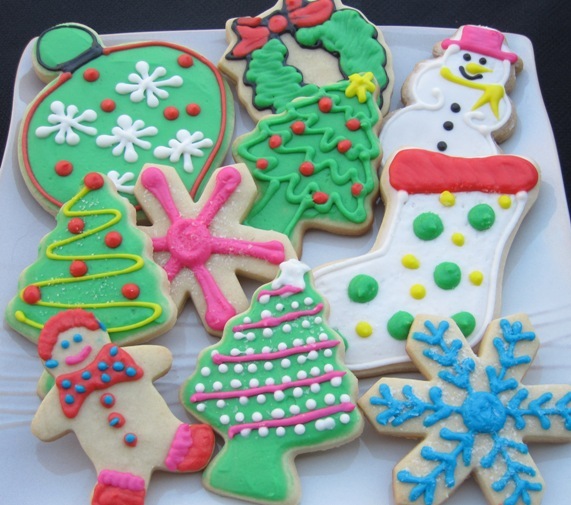 Posted in Fun Stuff, Sweet and tagged christmas, cookies, Cut-out cookies, dessert, icing. Bookmark the permalink. It’s almost Thanksgiving! Can you believe this year is almost over? And can you believe Christmas is right around the corner? Yikes. . .it’s enough to make me want a warm pumpkin biscuit slathered in orange honey butter. These are part of Thanksgiving dinner in my world this year. They are soft and delicate and the butter is delicious. 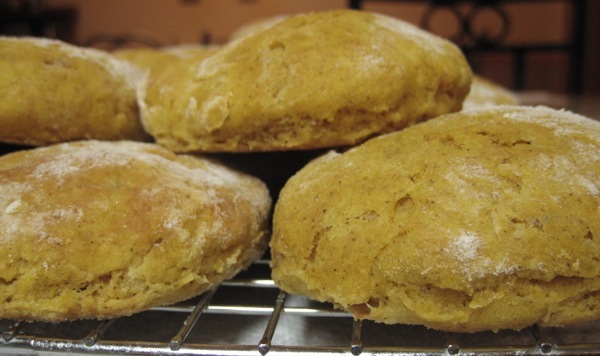 It’s been a few years since pumpkin biscuits were on the holiday menu so this year I thought it was time to revisit them. Posted in Sweet and tagged biscuit, breakfast, christmas, honey, pumpkin. Bookmark the permalink.